A week-long tour of beautiful Kerala, through the verdant hill station of Munnar, the spectacular Indian coastline at Kovalam and the Periyar Wildlife Reserve. 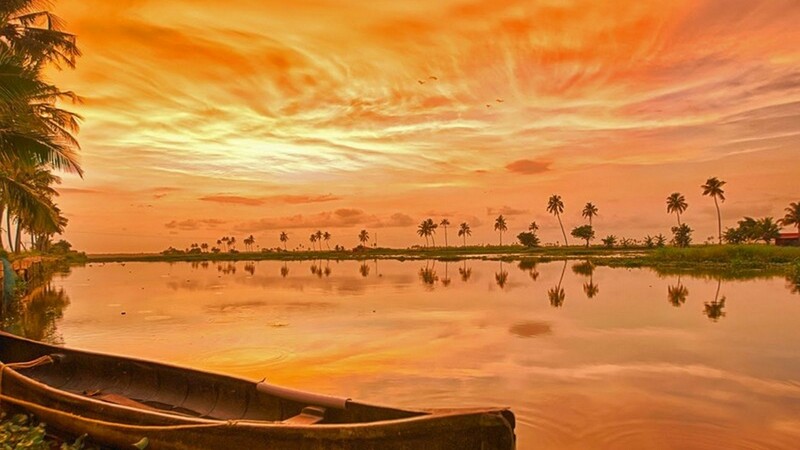 Sample the delights of Kerala, the verdant scenery, the abundant wildlife and exotic birdlife. Walk, ride, cycle or boat or a mixture of all and let the peaceful surrounds of Munnar work their magic on you – valleys, waterfalls and the tea and spice plantations. Marvel at the animals in the National Park at Periyar in Thekkady before heading for some of the best beaches anywhere on the planet at Kovalam. A temperate climate offers perfect weather for exploration, the chance to commune with nature, slow down the frantic pace of modern living and unwind. Re-connect with yourself, your family and with the natural world, taste the heaven that is Kerala. A short trip from the airport at Kochi will take you to Fort Kochi after our tour representative has met your flight. Travel in style in your own chauffeur driven car. Fort Kochi is a hotchpotch of old Colonial style from yesteryear. See the influence of Dutch, British and Portuguese settlers from times gone by. Don’t miss the Santa Cruz Cathedral Basilica, one of the finest churches in India. The original church was built by the Portuguese in 1558, spared demolition by the Dutch, actually demolished by the British before being finally rebuilt in 1887. 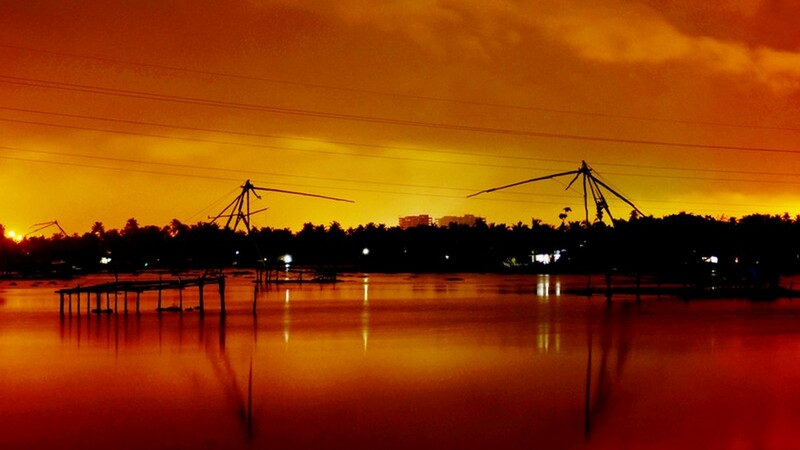 Historic, exotic and full of spice, Fort Kochi is a colourful and intriguing introduction to Kerala. Munnar is a historic hill station, developed by British Colonial visitors as a hidden retreat and for good reason. Set in verdant green hills intersected with tumbling waterfalls and peaceful lakes, Munnar has an atmosphere all its own. Your journey from Fort Kochi will take a leisurely pace allowing you time to stop and view the spectacular Neriamangalam Bridge over the Periyar River and the picturesque Valara and Cheeyappara Waterfalls. Take time to wander in the rolling green hills and valleys of Munnar, blanketed in coffee, tea and spices plantations. Proceed at a gentle pace on foot or take up the pace on a bicycle or a horse. There are plenty of water activities, gentle lake cruises or bamboo rafting for the more adventurous. Break your day with a lunchtime picnic at pretty Mattupetty. Within Munnar itself, there are lots of things to see and do including the Tea Museum, a chance to learn more about the production of this special crop and to taste the fruits. Relax at your luxury hotel in the evening. 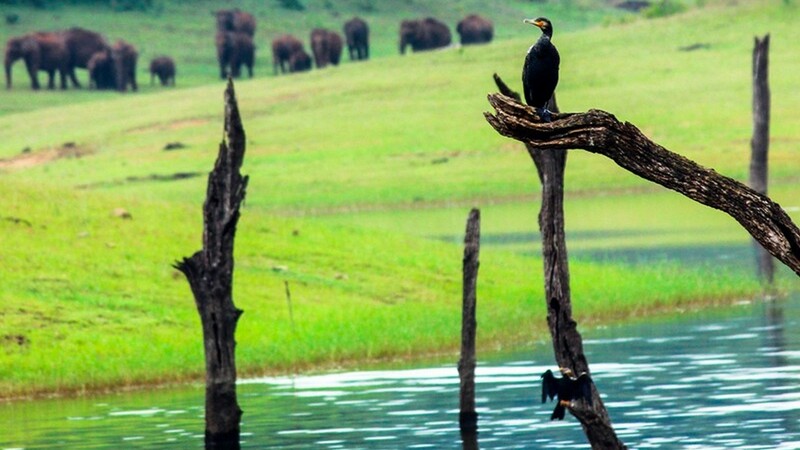 Thekkady, famous for its wildlife reserve, Periyar Wildlife Sanctuary. Covering a large area, this is your opportunity to view some of Kerala’s most exotic wildlife and famous residents. Head for Lake Periyar and take to the waters, a cruise showing you all of the best features of the area and also the opportunity to see the animals come down to the lakeside to drink. Deer, monkeys, Indian gaur and elephants are frequent visitors. Dinner and relaxation await you in a traditional coffee planters’ bungalow. Thekkady beckons and you can choose to walk, boat, raft, cruise or ride. The itinerary is flexible allowing you to choose how to spend your day in this beautiful location. A local guide can accompany you providing information and colour to enhance your visit to the Periyar National Park. There is also the chance to visit a unique tribal village. See before your very eyes a subsistence way of life which has almost but vanished on our 21st-century planet. Follow natives as they practice centuries-old traditions of bee keeping and herding, co-existing peacefully with the environment. Dinner and a camp fire await you in the evening at the resort with the entertainment of the Kathakali Show with Martial Arts before you retire for the night to your colonial bungalow. Kovalam is famous for its beaches. Turquoise waters lap golden palm-fringed shores, truly a taste of paradise. 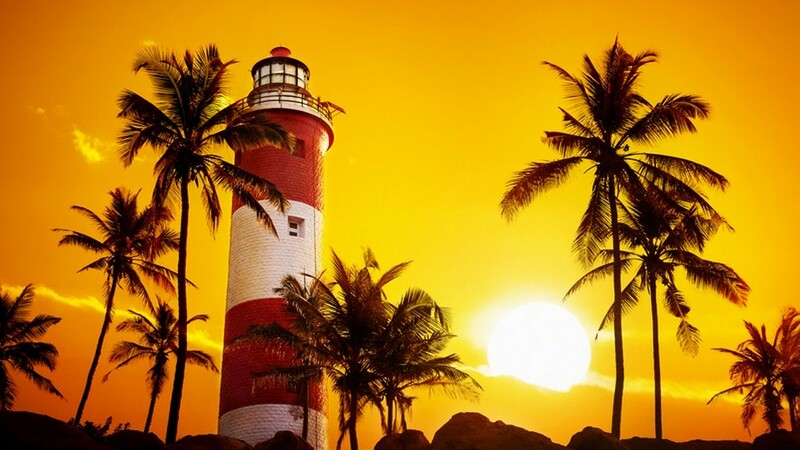 Kovalam is a bay divided into three beaches, unspoilt yet with enough amenities to make your visit comfortable. Head for the largest beach, Lighthouse Beach, or the seclusion and serenity of Sumadra beach, each one has something unique to offer. The beaches are created by the division of rocky promontories with a backdrop of gently waving palms. Bathe in the clear blue waters, relax on the sands or enjoy beach activities with family and friends before retiring to your hotel to fall asleep to the gentle sounds of the Arabian Sea. 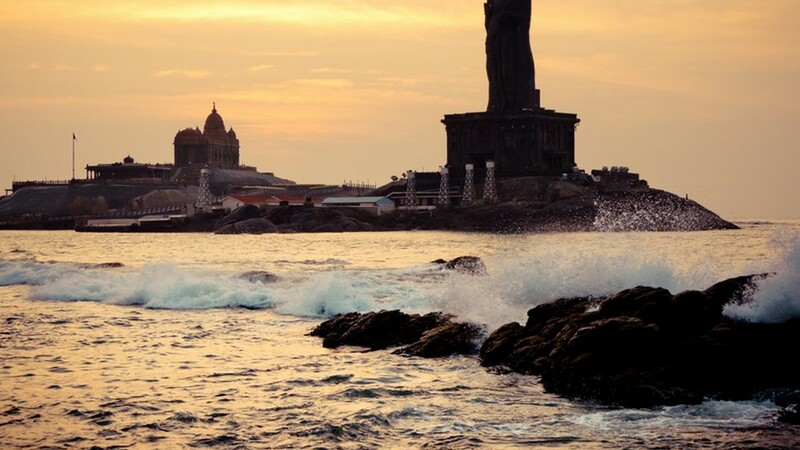 Towering over the beautiful bay at Kanyakumari is the Vivekananda Rock Memorial featuring a giant 140 ft high statue of the famous Tamil poet and philosopher, Valluvar, author of the Tirukkural. 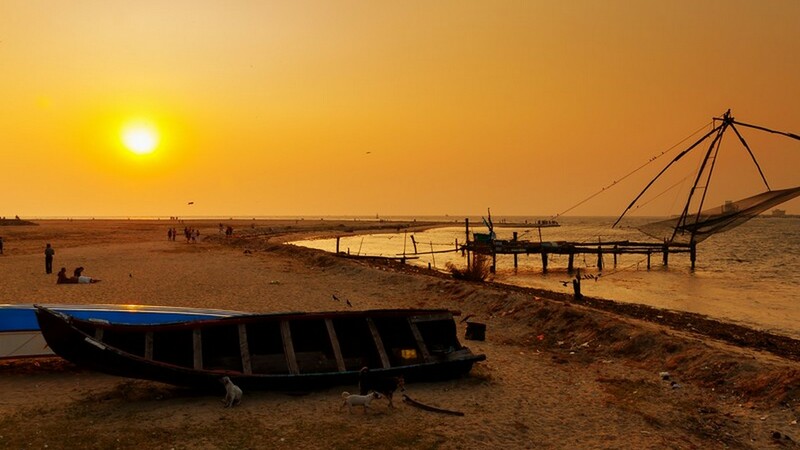 Take a ferry to see this epic sight up close and watch as the waters of three seas mingle together, the Arabian Sea, the Bay of Bengal and the Indian Ocean. This is a place of true mystery and significance with a unique atmosphere. Enjoy the world famous sunsets before heading to the luxury of your Oceanside resort. 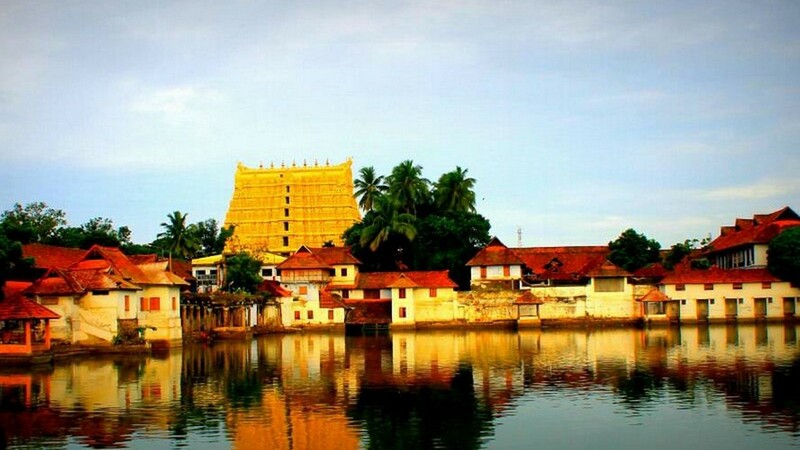 Spend your final day marvelling at the Padmanabhaswamy Temple, open to visitors who dress respectfully. Adjacent to the temple is the Kuthiramalika Palace which has a spectacular frieze of over 100 horses. The Palace is typical of Keralan architecture, long sloping roofs supporting colonnades shading cool verandahs which lead onto green and lush courtyards. For those who still want to take to the water, Veli Tourist Village has a waterfront park and loads of activities to amuse and entertain. Your chauffeur will return you to the airport at Kochi in good time for your return flight home. The map covers a distance of 762 KMs, starting the trip from Cochin International Airport and going to Fort Kochi, Kochi, Munnar, Thekkady, Alleppey, Kovalam, Kanyakumari and ending at Trivandrum. Booked Iconic & Unique Kerala?